The Maynard Senior Center is a service of the Maynard Council on Aging. 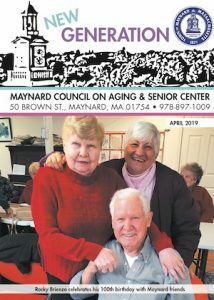 The Maynard Council on Aging welcomes input from people of all ages on how to improve life for Maynard’s senior citizens. Please visit the COA web page to learn more about the Council on Aging and how to attend upcoming meetings. The page also contains numerous resources like the Senior Services Directory. 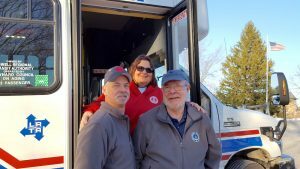 The Council on Aging van provides low cost transportation to local hospitals, health care providers, pharmacies, banks, some grocery shopping, the post office and to the Senior Center on 50 Brown Street in Maynard. In October 2015 we took possession of a new van, offering better service, comfort and safety for all.